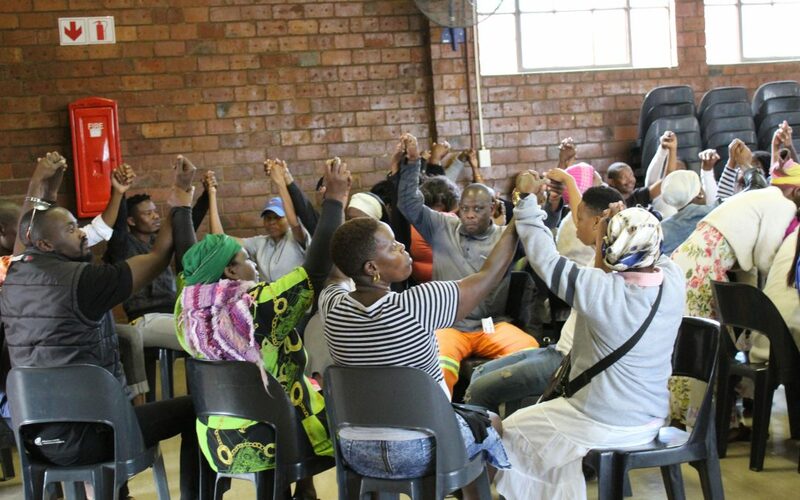 The Democracy Development Program in partnership with the Africa Solidarity Network (ASONET), Urban Future Centre and the Department of Arts and Culture (the Social Cohesion unit) hosted a community dialogue on Friday 14 July. 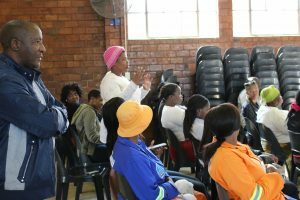 This dialogue was held at the Umlazi D section Community Hall and was attended by members of the community with the counselor and IEC representatives. 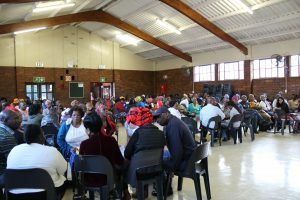 The dialogue focused mainly on how local residents and local foreign nationals can live together in harmony, exchange ideas on how they can build together socially and economically. 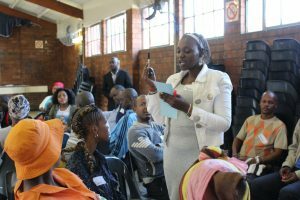 This dialogue comes after many incidences of xenophobic attacks occurred in various townships in South Africa including in Umlazi. 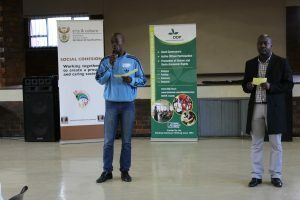 During the first question conversations, the community was answering the question “What is the common story you keep hearing about foreign nationals?” and the second question asked: “What can we do together to grow economically and socially?”. They dialogued answering these questions and striving to find common ground and ways to be in harmony with each other.